Thanks that seems like a good Price, may have been slightly over the top to start with though. Good quality these. Thanks! Sistema definitely the best in the market for storage stuff...I've got all shapes and sizes..great to cut down wasting food. These look really good. Off to have a look. Thank you very much for sharing. They are good quality but with a MAJOR flaw.....they are not LEAKPROOF...my backpack learnt the hard way !!! Thanks for sharing with us, Sistema have always seemed like a really good company and their products seem to last forever, so great to be able to get hold of at a discounted price. These are so handy and the only ones I've found that reliably don't leak! 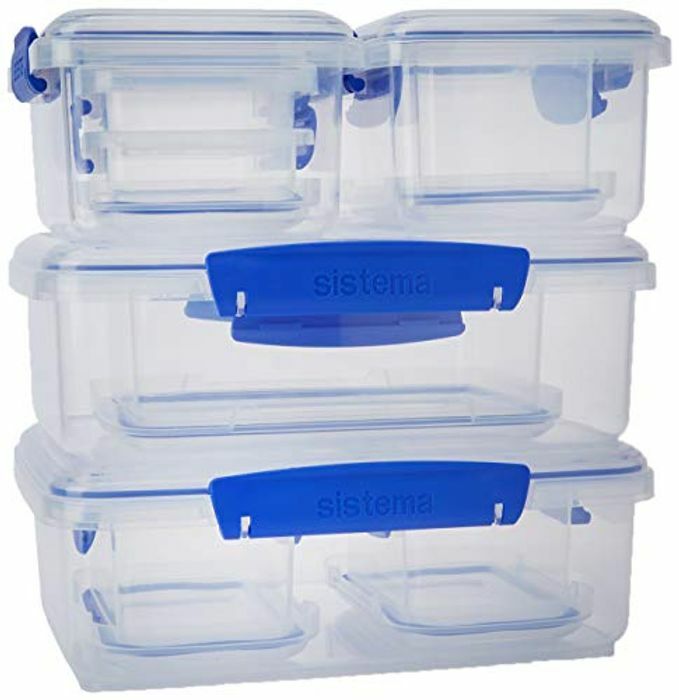 Thanks .Sistema definitely the best in the market for storage stuff...I've got all shapes and sizes() grat to cut down wasting food. ?